4. 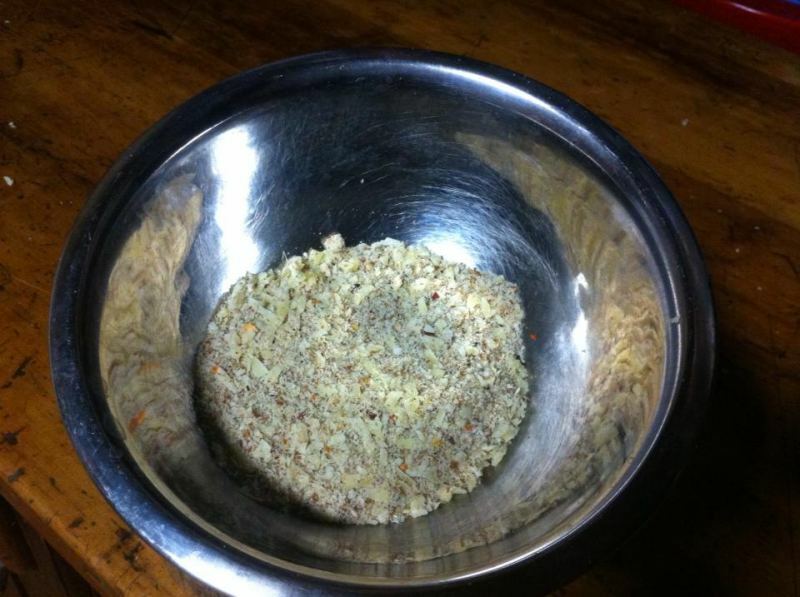 Add in the almond meal and parmesan cheese and mix in with the spices (see pic 1). 5. Crack the egg and a decent dollop of cream into a bowl and wisk together. 6. 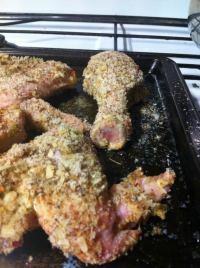 Place each chicken piece in the egg/cream mix first until its totally covered, then put it in the herb/cheese mix until its moderately coated with the mixture (see pic 2). 7. 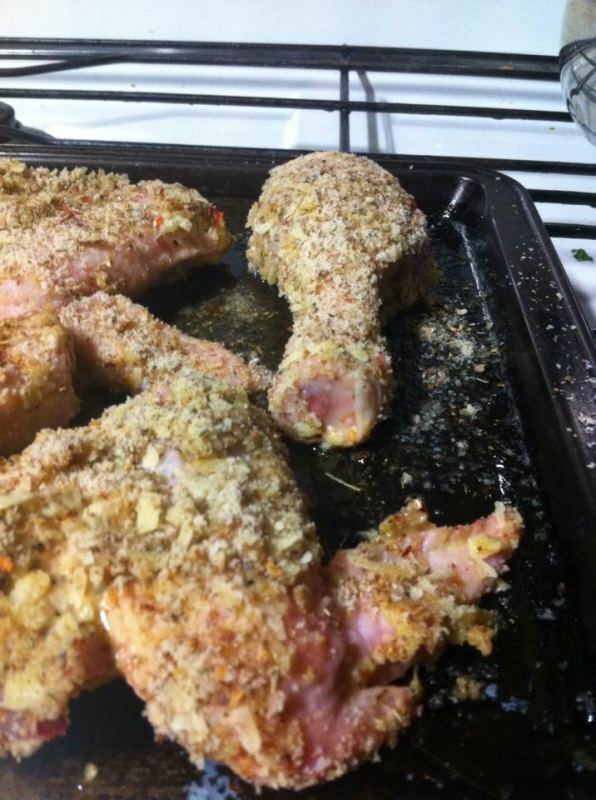 Place each coated chicken piece in the baking tray and place in the oven for 30-45 minutes. Its a little fiddly at the start, but only takes about 10 minutes of preparation and then it sits in the oven until its cooked. Serve with whatever other foods you like. We had it with steamed zucchini, carrot, peas and some creamy mashed cauliflower. 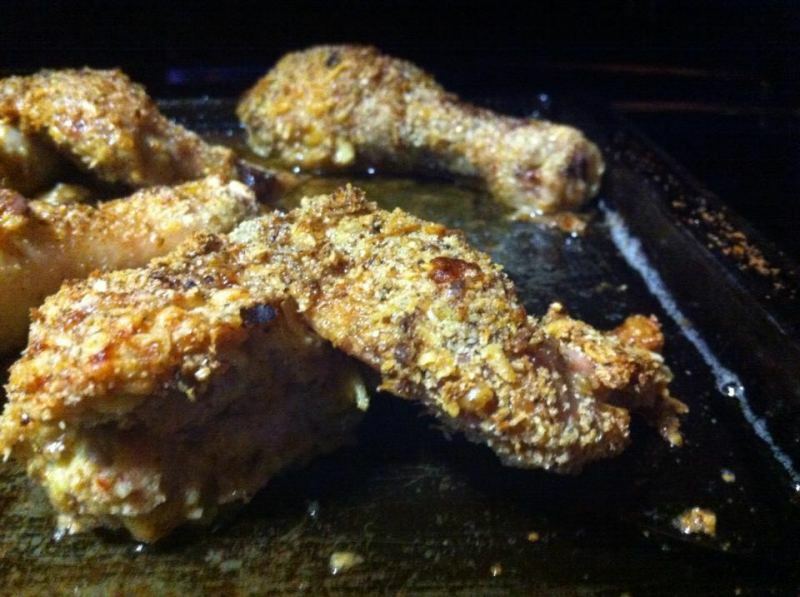 I also used the oil/butter from the pan with all the crumb bits from the chicken to make a creamy gravy and served it with that.